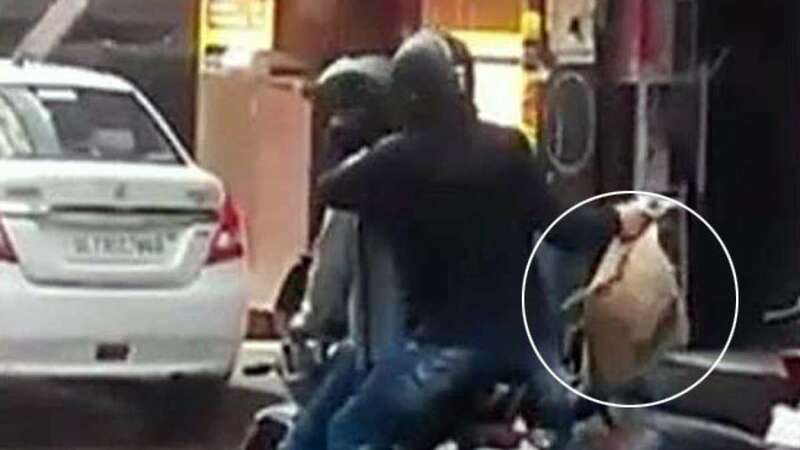 New Delhi : In a horrific incident in the national capital two men on a bike robbed a private bank’s cash van and also shot down the security guard who tried to oppose their evil idea. A total sum of Rs1.5 crore was taken away by the men on a black bike. - The security man was reported dead after people took him to a nearby hospital. - Police is now investigating the whole issue and looking for a clue that can take them to the robbers. - The footage was recorded in CCTV cameras in the market. - The whole incident was executed by the robbers in less than 2 minutes of time.